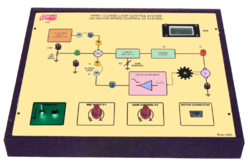 Offering you a complete choice of products which include electro hydraulic trainer ( basic ), process control simulator ( advance pid controller ), digital control system model, pid control system trainer, hydraulic trainer ( transparent model) and bode - plot demonstrator model. * Pump : 3 LPM. * Pressure : 20 bar. * Motor : ½ HP, 3 f, foot / flange motor. * Oil Tank : 20 litre capacity ( oil to be provided by the purchaser ). With the aid of latest machinery, we have been able to manufacture the superior quality of Make Adtron Process Control Simulator. 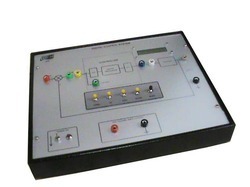 For the purpose of manufacturing the offered process control simulator, we make use of latest technology. 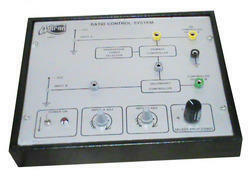 Owing to its compact design and high performance, the offered make adtron process control simulator is highly demanded. All outputs are short circuit proof. 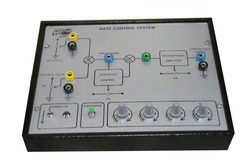 We manufacture and supply the best quality of Digital Control System Model. To meet the precise needs of our patrons, we offer this digital control system model in various specifications. Owing to their compact design and enhanced energy efficiency, the offered digital control system model is highly demanded. * Completely self contained stand – alone system. * Demonstrates the principle and working of a Proportional Integral Derivative (PID) control system with Microcontroller Based. 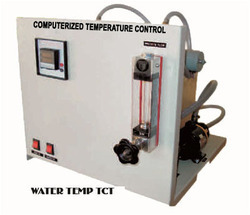 * Complete system consists of a process unit with process and control unit with sensor. * The process unit consists of an aluminium rod as the process which is heated by 3 high wattage bulbs (100 watts each). A temperature of above 800C can be attained. 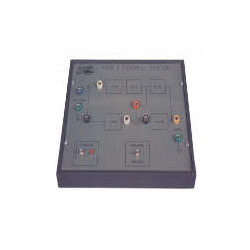 * The control unit consists of an RTD PT 100 sensor probe with connecting facilities, its sensor input circuit P.I.D. control circuits, power output circuit. * Built – in analog meters to measure deviation (± 200C) between set and process value and % output power (0 – 100%). * Built – in set value adjustment from 0 to 1000C. * Built – in facilities to vary proportional gain, integral time and derivative time (coarse & fine adjustments). * Built – in facility to connect a fan (not provided) for forced cooling for creating external disturbance. 1. Two Position or ON – OFF Controllers. 3. 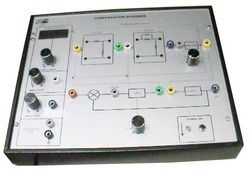 Proportional – Integral Controllers. 4. Proportional – Derivative Controllers. 5. Proportional – Integral – Derivative Control System. * Set of required patch cords. * Housed in an elegant cabinet with a well spread intelligently designed circuit layout on front panel. * Completely self contained stand – alone unit. * Designed for educational & experimenting purposes. * Demonstrates the principle and working of various control system for bode plot characteristics. * Study of frequency response, gain calculation transfer function logarithmic plot consisting of two graphs viz, logarithmic of magnitude and phase angle (combined plots are called Bode plot) for various control systems (Type 0,1, 2). 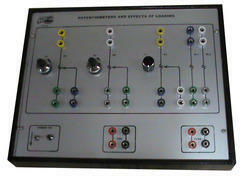 * Test points at various stages in the circuit to observe and record the waveforms and voltages. * Electronic DC Voltage linear series feedback regulator is used as the process for easy & better understanding. * Demonstrates the principle & working of Closed Loop Control System. * Provision to connect / disconnect the load & feedback loop. * Provision to vary the output voltage. * Multi – coloured test points are provided at various stages in the circuit to observe the waveforms & voltages. Adtron’s Model 4021D Flow Control Set up Comprises of a differential Pressure Flow sensor with Orifice meter to measure the flow Rate. The flow of water is controlled by a Pneumatic Control Valve actuated by a I to P converter, Rotameter is provided to measure the flow rate. The system is mounted on a table top model with all necessary piping. The water inlet and out let are brought out through a manual control valve. Water at approx. 650 LPH has to be supplied to the system externally. The electronic panel comprises of ADC/DAC card with RS – 232 interface. Software is provided for experimentation, PID Control settings ( P, PI, PD and PID mode ) Data storing, Online data acquisition, Off line analysis, Printing of data’s can be done easily. Control Value : Globe type, 2 Way, ½” with diaphragm type actuator, Total stem travel 15mm, Pneumatic operated, 3 to 15 PSI pressure. PID Controller : Software to control the process based on LABVIEW Mode with Controller and Data Acquisition, Trend plot, Offline, Analysis and Printing. 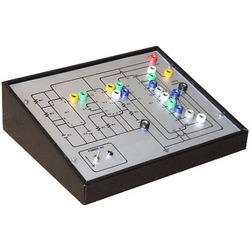 Keeping the track of latest happening in this domain, we have been able to manufacture and supply the best quality of Level Control Setup. 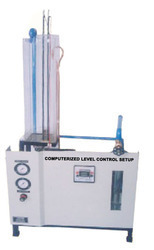 The offered level control setup is used for regulation and controlling the level of various liquid. 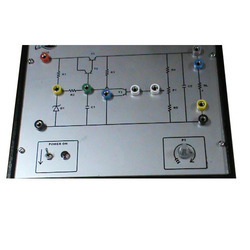 Its easy installation and robust construction, make this level control setup highly demanded. Measuring tank: capacity 5 liters, with graduation. Control Value: globe 2 way ½", with diaphragm type actuator, total stem travel 18mm, air operated, 3 to 15 psi pressure. Pid controller: software based on labview to control the process controller and Data Acquisition, trend plot, offline, analysis and printing. * Time domain study of a Linear System. * Op – amp simulated system for greater accuracy. * Full details of experiments included. * Additional experiments may be performed. * Simulated first, second and third order system of type – 0 and type – 1 ( 4 combinations ). * Calibrated variable gain amplifier ( Resolution 1 : 1000 ). Frequency : 45 – 90Hz. Amplitude : 0 – 2.5V approximately. * 220V 10%, 50Hz mains operation. * Complete in all respect, except a measuring CRO. * Open loop step response of First Order Type – 0 system for various values of gain. * Open loop step response of Second Order Type – 0 and Type – 1 systems. * Closed loop step response of Second Order Type – 0 and Type – 1 systems. * Steady – State errors for closed loop configuration through triangular wave input. * Response of third order system. In each of the above, the experimental results obtained by measurements of the response curves can be compared with theoretical calculations The number of experiments possible on the unit is not limited to those suggested above. Subject to the availability of time many more variations of the above are feasible. High quality servo potentiometers u 360° Mechanical, 355° Electrical span. 3 ½ Digital Panel Meter for all measurements. High quality servo – potentiometers of 360° shaft rotation. Built – in signal and power sources. 3 ½ digit DVM for measurements. 220V 10%, 50Hz mains operation. Requires an external CRO for AC studies. Linearity study of the error detector. Determination of error detector gain. Use of AC supply for the error detector. Introduction to the phase reversal of error signal. Completely Self Contained Stand – Alone Unit. Demonstrates The Principle And Working Of Potentiometers, And Effect Of Loading. Built – In Ic Based Dc Regulated Power Supply With Short Circuit Protection And Led Indication For Supply “on”. Built – In Two ( 2 ) Ten Turn Potentiometers Of Different Values, With Turn – Count Knob. Built – In Two Resistive Loads For Loading The Potentiometers. Graphs Of Loaded Output Voltage V/s Rational Angle 0 Of Potentiometer Shaft And Loading Error V/s Rational Angle Can Be Plotted. Multi – Coloured Test Points Are Provided At Various Stages In The Circuit To Observe Waveforms And Voltages. 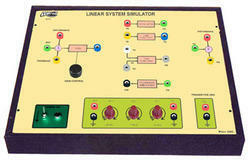 * Electronic simulation used for the process for easy & better understanding. * Demonstrates the principle & working of Rate Control System. * Study of effects of Derivative and Proportional action on different actuated error signals (simulated) generated for closed loop behaviour of systems. * Control of derivative time, proportional rate and study of its effects on the controlled system. 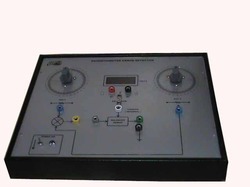 * Facility for Proportional Derivative (PD) control system experiments. * Consists of a primary controller and a secondary controller. 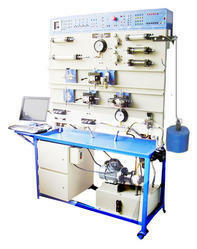 * Demonstrates the principle & working of Ratio Control System. * Multi – coloured test points are provided at various stages in the circuit to observe the waveforms &voltages. 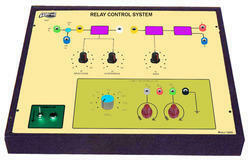 * Simulated electronic relay using high speed. * IC’s Simulated 2nd order linear plant. * Facility for displaying X and X’ signals. * Dead zone variable from 0 – 600 mV. * Hysteresis variable from 0 – 500 mV. * 220V 10 %, 50Hz mains. * Built – in signal sources – Sine and Square amplitude 0 – 1V ( min ) variable. * Frequency : 10, 20, 40, 80, 100, 200, 400, 800 and 1000 Hz. * IC regulated internal power Supplies. * Literature and patch cords Included. 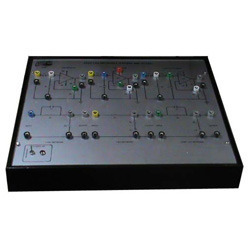 * Electronic simulation used for the process for easy and better understanding. 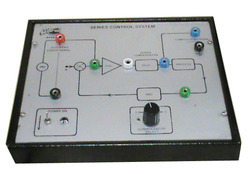 * Demonstrates the principle and working of a series control system. * Built – in selectable series compensator. * Connecting external actuating error signal. * Observation of compensated output signal. Adtron Model 4021A Temperature Control Loop Setup comprises of RTD temperature sensor to sense the temperature. The water flows through the Rotameter and Process tank to which a heating coil is fitted. The heater is controlled by a Thyristor drive. The Thyristor drive is connected to PID controller. The manual control valve can control the water flow. The system is mounted on a tabletop model with all necessary piping. The water inlet and outlet are brought out through a manual control valve. Water at approx. 100 LPH has to be supplied to the system externally. 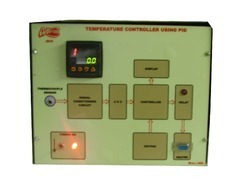 The electronic panel comprises of ADC/DAC card with RS – 232 interface. Software is provided for experimentation, PID Control settings ( P, PI, PD and PID mode ) Data storing, Online data acquisition, Off line analysis, Printing of data’s can be done easily. Thyrister Controller : 3 KW with 4 to 20 mA input to control heater. PID Controller : Software based on LABVIEW to control the Process Controller and Data Acquisition, Trend plot, Offline, Analysis and Printing. 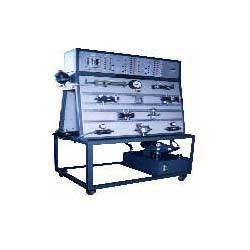 * It is a complete instrument, required in the experiments of control engineering. 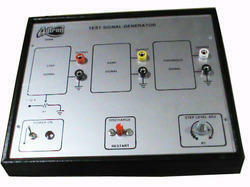 * It provides test signals of different waveforms and frequencies for feeding in as error signals. * Works on 230V, 50Hz AC. * It is essential in simulated process experiments. 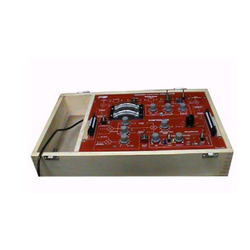 * It gives very low frequencies (variable) step and Ramp waveform signals, which are essential for finding the response of various control circuits. 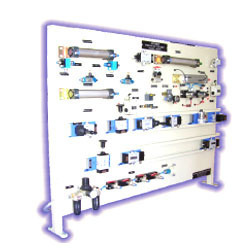 Valued as a reliable manufacturer and supplier, we have been able to offer the optimum quality of Transparent Pneumatic Trainer. By conducting rigorous quality assurance checks, we assure that the quality of the offered transparent pneumatic trainer is never compromised at our end. 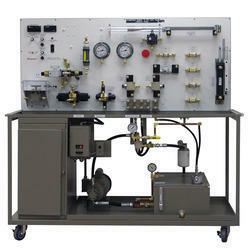 Used as both demonstrator or experimental kits in school, the offered transparent pneumatic trainer is known for its ease of learning. 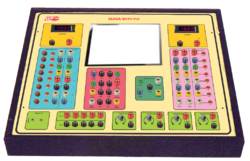 ADTRON’s SCADA TRAINER kit is a self contained stand alone system except for the PC. The system consists of PLC with Analog and Digital Inputs with ladder programming software, SCADA Software and HMI with software. The system is housed in an elegant cabinet with a well spread intelligently designed layout on the front panel. A comprehensive Instruction manual complete with theory, operating details, observations and connection details is provided along with the unit. Due to our rich experience of this domain, we have been able to manufacture the best quality of Electro Pneumatic Trainer. 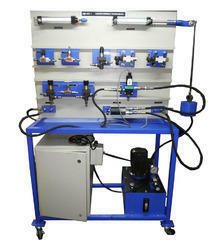 The principle and construction of electro pneumatic systems are demonstrated by using the offered trainer. 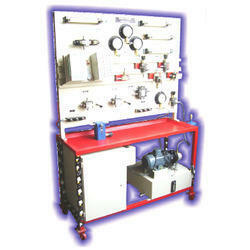 Owing to their compact design and overload protection, the offered electro pneumatic trainer is highly demanded. 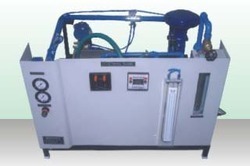 Being a leader of this domain, we have been able to manufacture and supply the optimum quality of Electro Hydraulic Trainer. 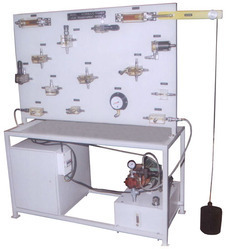 Rendered by us at cost effective prices, the offered electro hydraulic trainer is used for students the basic concept of hydraulic control systems. 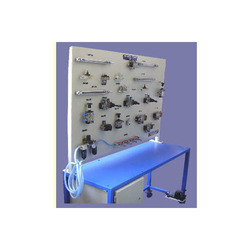 In addition to this, the offered electro hydraulic trainer is used for teaching the students with applications of various hydraulic control systems. Demonstrates The Principle And Working Of Lead Lag Networks. Verification Of Frequency Response Characteristics Of Lead/ Lag Networks. Verification Of Theoretical And Experimental Values, For Attenuation, Time Constant (t) And Phase Angle. Built – In Passive Compensating Networks Such As Lead And Lag. Built – In Active Compensating Networks Such As Lead And Lag Using Op-amps With Its Power Supply. Multi – Coloured Test Points Are Provided At Various Stages In The Circuit To Observe The Waveforms And Voltages. Leveraging by the vast experience of this domain, we have been able to manufacture and supply the best quality of Control Engineering Trainer. 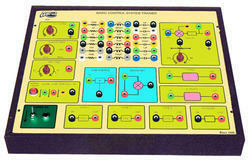 The offered control engineer trainer is popular for its ease of learning and high performance. For manufacturing the offered control engineering trainer as per the industry laid norms, we make use of latest technology. Looking for Control Engineering ?